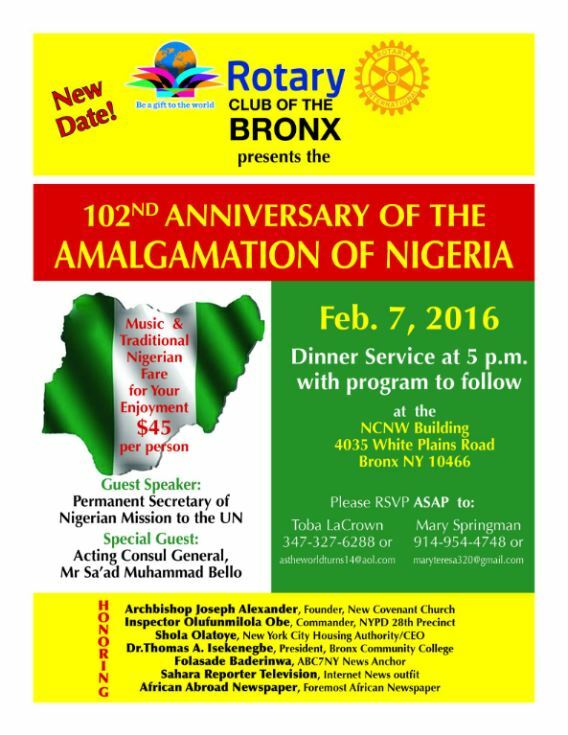 On Sunday, February 7, the Rotary Club of the Bronx presents the 102nd Anniversary of the Amalgamation of Nigeria. The celebration and dinner begins at 7PM at the NCNW Building at 4035 White Plains Road, Bronx NY 10466. 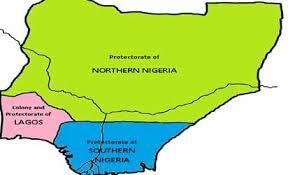 The Northern and Southern protectorates of Nigeria were amalgamated by British Colonial Governor Fredrick Lugard in January 1914. The Bronx Rotary Club honorees include Archbishop Joseph Alexander, NYPD Inspector Olufunmilola Obe, NYCHA Chairperson Shola Olatoye, WABC TV News Anchor Sade Baderinwa and other notables.